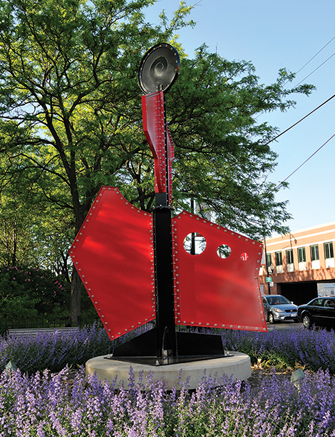 This is Michael Grucza’s fourth time being included in the Lakefront Sculpture tour. 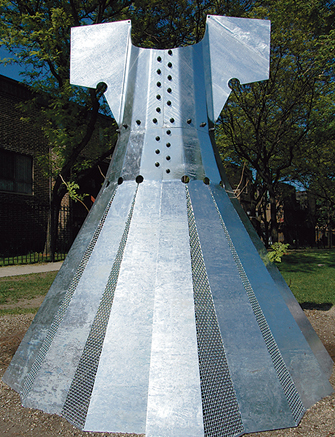 Grucza is a very skilled sculptor of steel and aluminum. 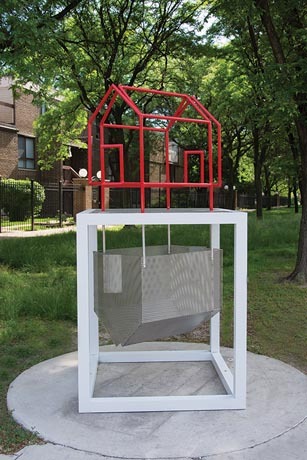 Although he produces moderately large pieces, thanks to their seamlessness, they always maintain the tidiness and balance of a small work. Grucza, a fine art restorer who has lived and worked in Chicago for 30 years, has crafted yet another signature piece in “Flip Flop”. 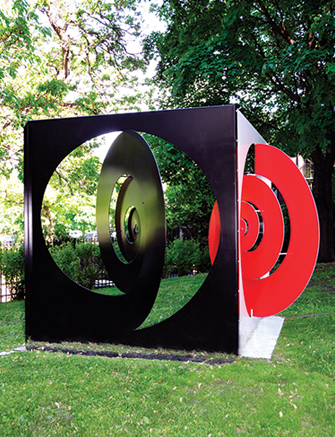 The eight-foot tall, powder coated metal sculpture mirrors two folded steel blinds. 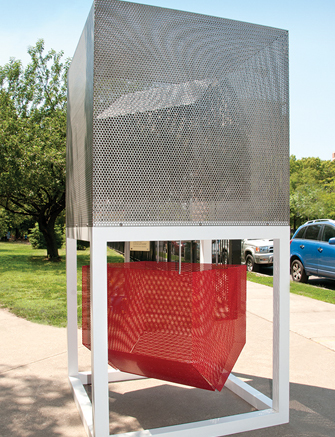 Grucza’s twin pieces beg for viewer interaction, asking the audience to step inside and literally immerse themselves in public art. 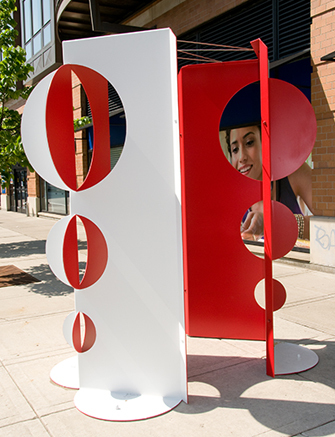 Once between, the piece reverberates the sounds of the street, creating a symphonic and absolutely engaging public art experience.